Manchester United had the perfect start to the match as Marcus Rashford turned past Joel Ward cleverly before driving into the box and picking out Mata who calmly slotted the ball into the bottom corner to open the scoring just three minutes in. Just after the 30-minute mark, Cabaye combined with Sako again as he played a good ball through the United defence down the left-hand side and Sako got a powerful shot away which David De Gea palmed away. Just as Palace looked gained some momentum, Ashley Young found himself on the left of the box and floated in a fantastic ball towards the far post, and Fellaini was there to tap in at point blank range for his third goal in four games. The hosts went into the break well in control while Roy Hodgson looked a defeated man as he entered the change room with much to contemplate ahead of the second half. 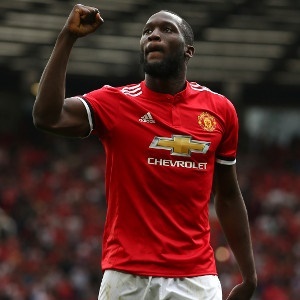 United began the second period in the same fashion as the first as Rashford whipped in a great free-kick which Fellaini diverted into the back of the net from close range to add the third goal just three minutes into the half. Immediately on the other side, Smalling was lucky not to give away a penalty after it looked like he had fouled Jeffrey Schlupp in the box but Mike Dean did not see enough in it to point to the spot. Palace responded positively to the third goal and were dominating possession but weren’t clinical enough in the final third which was demonstrated when Sako, just a few yards, swept a shot over the bar. Martial, who had replaced, Rashford forced a good save from Hennessey as he got on the end of a good pass from fellow substitute Ander Herrera before releasing a shot which the goalkeeper saved well. It was the perfect way to enter the international break for Jose Mourinho as his team recorded their sixth Premier League victory of the season whilst Crystal Palace remain at the bottom without a single point or goal scored.